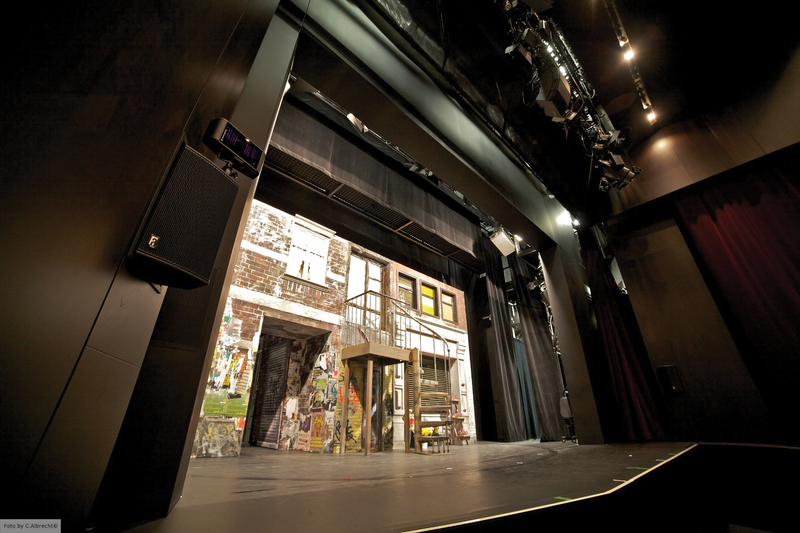 The musical productions required a more powerful sound while maintaining high speech intelligibility. The LR7 micro line array and the VR and SR pro-ribbon series from Alcons were chosen for the 414-capacity venue. The new venue is a former office building, so the sound system has architectural limitations. Due to the limited space a centre cluster system was the only way to cover the stalls and balcony. The Stage Systems team from Gelsenkirchen installed a centre cluster of six Alcons LR7. In the frontal stage area 2x VR8 compact monitors and 2x BF302 bass systems are used.